"The Ukranian regime's intelligence service, along with the police, said this hoax was a deliberate thing to try to lure his killers, which they still say have ‘Russia connections,' out into the open," international affairs analyst Mark Sleboda told Radio Sputnik's Loud & Clear on Wednesday. ​"Supposedly, they've arrested one person they say that's involved, who is a Ukrainian citizen," the analyst said. Evidence, details, and explanations have not been put forth by Ukrainian authorities "of how this elaborate hoax would allow them to expose those who were supposedly plotting his death." "And no explanation of why, in the hours running up to this [revelation of the hoax], not only did they fake his death, but Ukrainian Prime Minister Volodymyr Groysman actually blamed Russia for it, along with the entire Western press corps," Sleboda added. 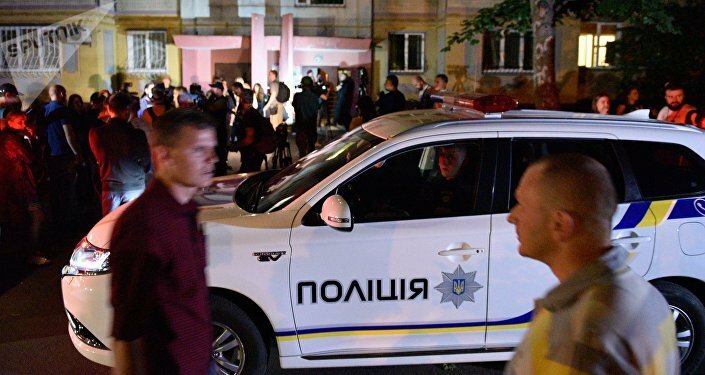 On Tuesday, The Ukrainian Interior Minister did not lack confidence in pronouncing the journalist's death, even before the police actually arrived at the crime scene-that-never-was. Ukrainian Interior Ministry board member Anton Gerashchenko confirmed that Babchenko had been shot several times in the back in a stairway and died of those wounds. "The killer was waiting for him on the stairwell at the entrance. When Arkady opened the door to his the apartment, the murderer made several shots in the back of Arkady Babchenko," Gerashchenko said in a Facebook post. On Wednesday, the head of Ukraine's Security Service, Vasyl Hrytsak,held a news conference in which he unveiled the "murdered" journalist to be alive. In the middle of pointing out that he could offer his apologies to the deceased's family, Hrytsak said "I will not do this. On the contrary, I… invite him to enter the room." "The fact that Babchenko is alive is the best news… The fact that the propaganda effect was planned in this story is obvious," Russian Foreign Ministry spokeswoman Maria Zakharova said Wednesday.